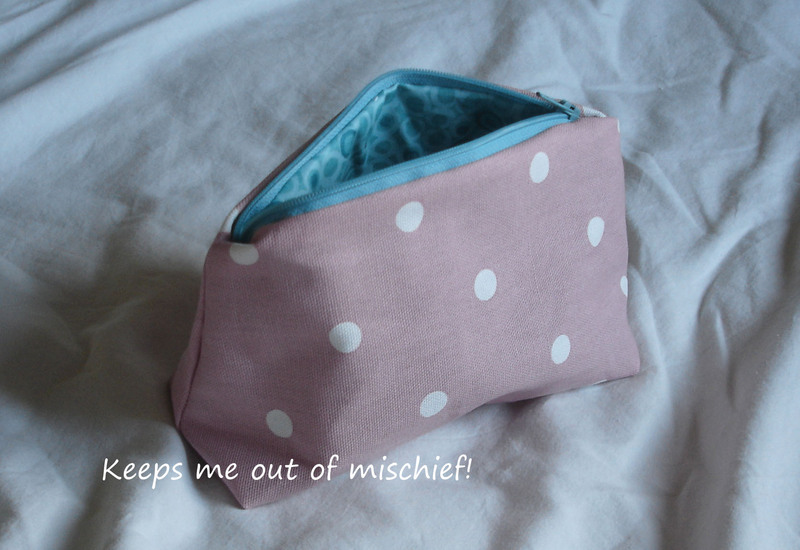 Pink Polka Dot Cosmetic Bag | Keeps Me Out Of Mischief! I just love a bargain! I’d gone into a local store with the intention of buying some basic cotton sheeting to make some bunting for our school pool but, as I was waiting for the fabric to be cut, I discovered the remnants bin. This is going to be dangerous for my bank account! This curtain weight cute polka dot fabric was £1.50 for half a metre. I quickly made this cosmetics bag as a present ready for Christmas using this pattern. My present stash is beginning to look far more healthy now!